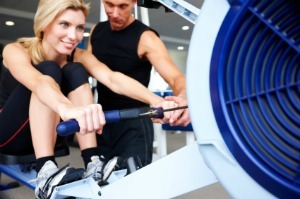 Rowing machine cardio workouts are a great way to improve your cardiovascular health. 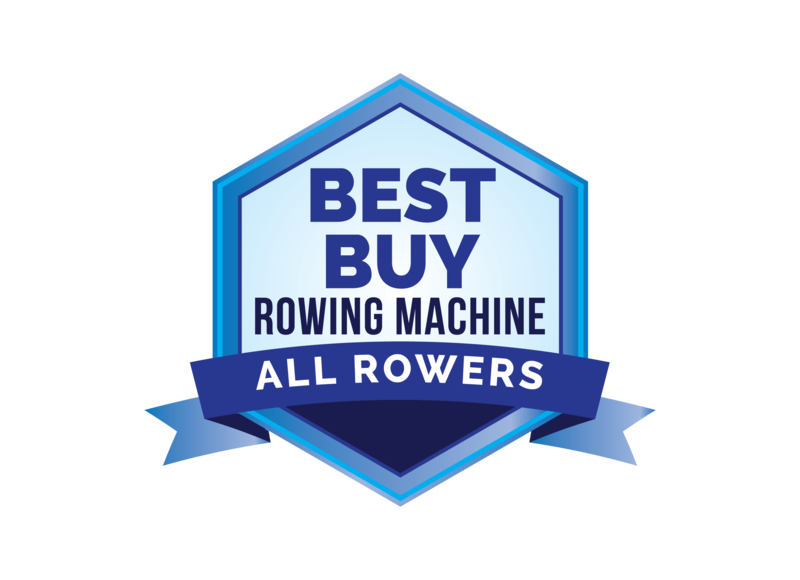 In fact, the cardio workout you get using a rowing machine is one of the best you can get because it not only works the heart, it improves overall fitness. But how do you know if you’re getting the optimal benefit during your cardio routines? Most people gauge their workout by exercising toward and maintaining a target heart rate that will keep the heart working at close to maximum capacity. If you haven’t taken your pulse before, it’s simple to learn. Simply place the first three fingers of one hand over the inside of the wrist of the other hand, below the middle of your hand but toward the base of the thumb. Pressing down lightly, you should be able to feel and count the beats you feel. Count these beats, or pulses, while using a watch or clock with a second hand. Count your pulse for ten seconds, then multiply that number by 6 to get your resting heart rate. For most adults, the resting heart rate can range anywhere from 60 to 100 beats per second. Some people find it easier to put the three fingers on the side of the neck, alongside the windpipe at the lower side of the neck, just above the collar bone. During exercise this is often the easiest way to measure your pulse, particularly when you’re doing rowing machine cardio workouts that can make it difficult to check your pulse on your wrist. Your target heart rate is based on your resting pulse and your maximum possible heart rate and lies somewhere in between the two. In fact, you want to achieve and maintain a target heart rate that is between 60% and 80% of your maximum heart rate. You can figure an estimated maximum heart rate by starting with 220, then subtracting your age. The result is the maximum rate. For effective rowing machine cardio workouts, you should try to reach 60% to 80% of this number. For instance, a 40 year old would figure his maximum heart rate as: 220 – 40 = 180 max. heart rate. While working out on a rowing machine, this individual should try to reach and maintain a target heart rate of 108 – 144 beats per minute. After exercising a few times and periodically checking your heart rate, you’ll develop a sense of what your best target heart rate is. Maintaining this during your rowing machine workout program is essential to a good cardiovascular workout. The key to good rowing machine cardio workouts is being aware of your limitations and your target heart rate at all times. Don’t make the mistake of assuming that “if 80% is good, 90% is better.” You don’t want to sustain your estimated maximum heart rate for any length of time, as this can be damaging to the heart muscle. Keep your pulse within the 60% to 80% of maximum at all times so that you are exercising at a safe targeted heart rate. Once you’ve reached your target, continue your workout program at a steady pace that helps you maintain a consistent heart rate for several minutes. Don’t forget to check your pulse periodically on your neck or on your wrist. If it’s creeping above the target rate, ease back on your rowing until your heart rate drops back down to the target number. If you work out for at least twenty minutes in this way, you’ll give your heart an outstanding workout. 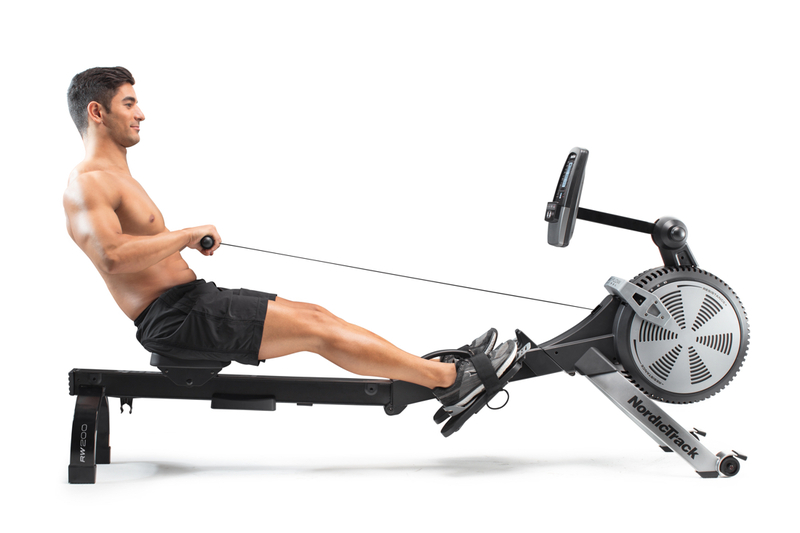 Rowing machine cardio workouts are favored by many athletes who need good cardio training and increased stamina. With the proper routine, you can achieve similar results.